Baked Chicken (top) with fried beans and onions. Food preparation while camping for a few days can be a challenge. The goal is to be able to prepare really good food inexpensively. Also, we cook for more than 10 people at a time. So the tools need to be efficient, capable, and serve multiple purposes when they can. Camp cooking is different than cooking at home on the grill. First, you will have limited equipment with you. You can't just run into the house to get a different pan or tool. You can't finish off undercooked meat in the oven. So there will be a period of trial and error in getting up to speed using the tools you take along for food preparation. You may find that some things are not worth taking. And you will quickly learn what you should have taken. Second, the kinds of food you prepare is a choice of what you can take with and what you can acquire. What you can take with you is determined by how much space you want to dedicate to foods that need refrigeration, water supply, and non-perishables. Foods you can acquire depend upon whether you will buy at local providers or gather your own foods -whether foraging, fishing, or hunting (local laws will apply). This second choice will also affect the kinds of tools you choose to take with you. I'm going to describe the tools we typically take with us in our family van for food prep. We also take dishes, plates, silverware, cups, etc. Do your cooking the way you planned. Take notes on what works and what wasn't so good. Adjust your plans next time. We acquired an old used Coleman two burner white gas stove for $15 which we use. 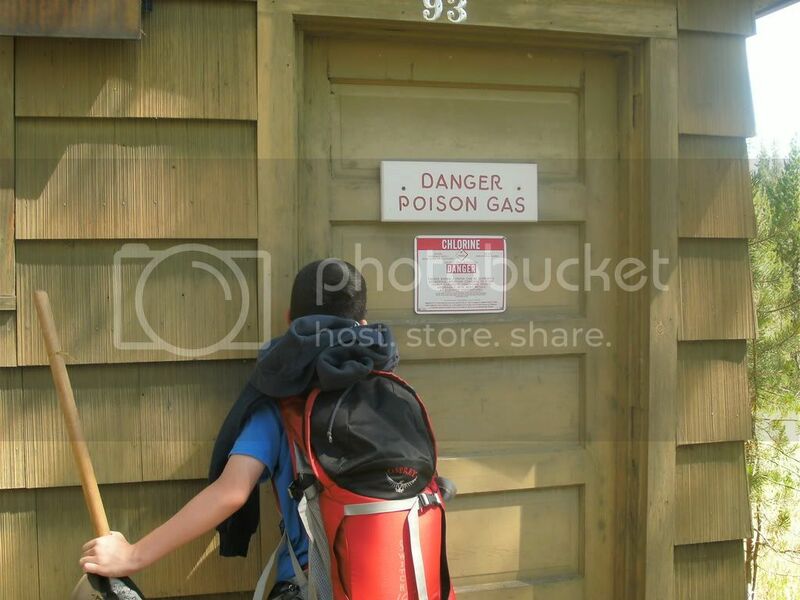 But as white gas is relatively expensive (especially in tourist areas) we tend to use it as a secondary. Our primary cooking area is the camp fire. Cooking on a stove like this can be a challenge. I've found two main problems in using this tool. I'm not counting the regular maintanance; cleaning, keeping the valve oiled, pumping, etc. The first problem is precipitation. Water splashed in the burners reduces the efficiency of the flame and makes the flame hard to regulate. The second problem is that cookware, pans and pots, need to be heavier and thicker to distribute the heat without burning the food. Thin steel camp cook kits for backpacking, for example, require a lot of attention to prevent scalding and burning over the gas flame because they don't distribute the heat from the flame very evenly. Our last resort compact cooking surface. Yes, we've had to use it, and we're glad we had it with. But cooking for a family of 12 is not advisable. I think we picked this up at a and army surplus store in Mankato for $2. The style of campfire pit varies from place to place. Truly primitive campsites may require that you gather rocks for a ring and then put them back when you're done. We've experienced: rock rings; steel rings; steel ring with grate; single sided, double sided, and triple sided fire pits with and without grates; standing grills with and without grates; and prefabricated stone or brick grills. We've learned to check into what the campsite has available and to assume that the provided grating may not be usable either through disrepair or bad design. So we carry a couple types of grating. The biggest issue in expense with using the fire pit is the cost of wood/charcoal. In some places the charge for a small bundle of wood (18" long by 16" diameter) has been as high as $6 per bundle. Most national forest and parks allow you to gather fallen wood. So two other tools are very useful: a hatchet (for splitting and chopping), and a camp saw (for cutting lengths). You can use the hatchet for both, but the saw is faster for cutting lengths. But then, you might need to keep a kid busy for a while--don't tell him you brought the saw. Beware of local wildlife (bear, cougar, skunk, brown recluse, rattle snakes) as well as poison ivy, poison sumac, wild parsnip, etc. 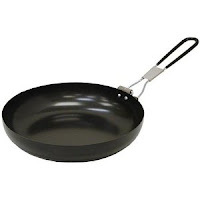 Cooking over fire will discolor your cookware. In addition to the carbon blackening the cookware, steel will change color depending on how hot it was and how quickly it cools. The stock pot on the right in the photo above is steel, it's lid is blueish/purple with wavy lines of green and yellow. All this is to do with the reflectivity of steel during the tempering/annealing process. Kinda cool. 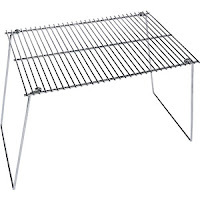 Free standing foldable grating is excellent in almost all the cases mentioned above. 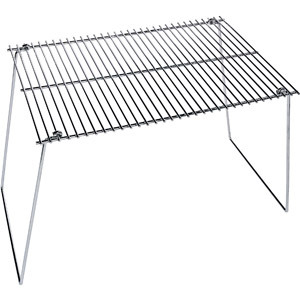 We also carry a couple of sizes of grating from old grills: a small 15" round from an old webber grill, and a 24"x12" oven rack extension. 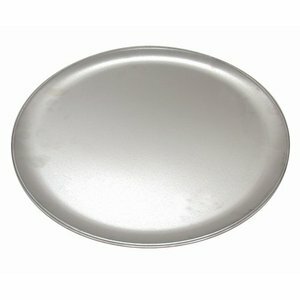 We carry at least three of these cheap steel pizza tins. They do bend and flex in the heat. They work best over coals rather than flame. One is used to keep the flames that may erupt off of what is being fried, the other is placed on top as a cover to keep the oils/food from erupting into flame. We clean them by placing them in the coals after cooking is done. They are shiny when you buy them, they loose this color right away for the same reason as mentioned above. I've also used a pair of these as an oven set between the coals and the back of a 2 sided pit to bake meat, fowl and fish. Aluminum pie tins can be useful in a similar way, but they burn up pretty quickly if the fire is hot. The pizza tins are too thin for even frying over a fire. We were given a thick aluminum griddle by my grandparents. Steel would be better, I think, because of the tendency of the aluminum to warp with use. Also, aluminum will burn if the flames are hot enough. And that can happen when grease from bratwurst or something else gets into the fire. We use the third pizza tin to cover the griddle. 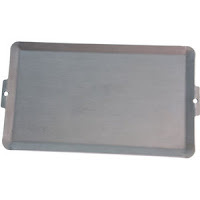 The griddle is cleaned in the same way as the pizza tins: by placing it in the coals to burn off the oils and food. Like the pizza tins, the griddle can also be used as a cover for other pans. You can see this in the photo on the top of this article. The cost of these griddles can be high. Watch garage sales and look at places like Goodwill. You can get them really cheap. We have two percolators that go over the fire or on the stove. Our older percolater is the aluminum in the picture below. Only ours is pretty well carbonized. If you use a pot without a filter or percolator you can make "cowboy coffee". We inhereted both our coffee makers. But they are available used. Just keep your eyes open. Mary bought a set of thin steel cookware from REI (I think) back when she was in college. They've lasted well and are excellent over coals. But because the steel is so thin they can be problematic over flames. The self-stacking design is great for packing. The largest kettle is 1/2 gallon. We've used it for oat meal/grain cereal, soups, boiling, and even raisin noodle kugel (with rice noodles). But again, they need to be tended carefully or you will get scorching, scalding, and burning. We inhereted a family sized vintage set of stacking Palco Pressed aluminum camp cookware. Eight aluminum plates, eight green plastic cups, silverware, pots, lids (which are also fry pans) and handles. This belonged to my grandparents who had it since the late 1960s, I think. 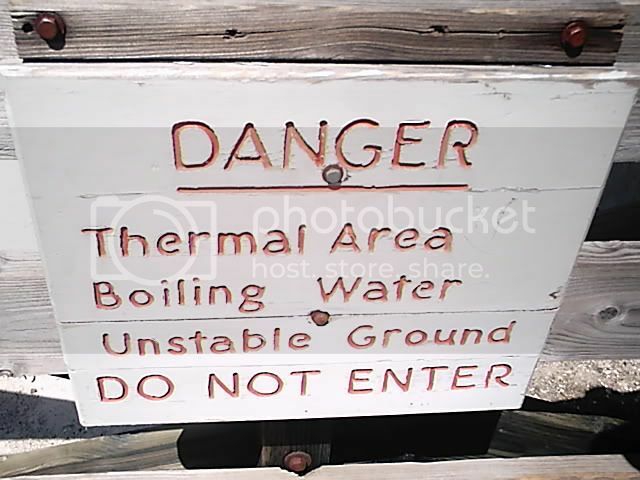 Heat distribution is better than in the thin steel. The large pot is just over a gallon. 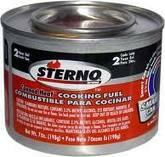 These work well over stove or fire. A few years ago I bought the Coleman 9 1/2" steel folding camp frypan at some place like K-Mart. It's the pan you see in the photo at the top of this article. Works great. We use the lids from the backpack cookware as a lid for the fry pan. A very useful and long lasting tool. The handle is, unfortunately, rubber coated. This makes its use over fire a choice. The rubber will burn off. But if you're carefull, you can keep this from happening too quickly. Use glovess. Molten rubber is almost worse than 400 degree steel. You can let go of the steel, the rubber sticks to your skin and keeps burning. One of our stock pots is visible in the photo about campfires above. 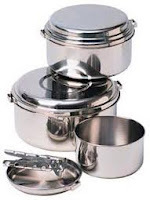 We use a 2 gallon or more sized second-hand steel stock pot for camping. 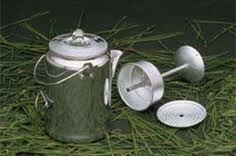 Primarily it is used for heating water over the fire to be used in cleanup, dishes, etc. 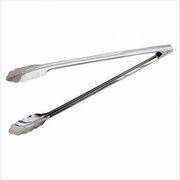 Tongs are used for handling hot food, hot coals, and hot pans. Get sturdy but cheap steel tongs without any plastic in them. Some have a locking feature to keep them closed, while nice, this feature can be annoying. And the locks usually don't last too long. The food handling use is obvious. But, handling pans might not be. Suppose you have a gloved hand (for pans) and a tongs. You're moving the chicken around, but then a log falls and you need to quickly remove the pan. Use the gloved hand and the tongs to move the pan. Don't take the time to put on another glove. Then use the tongs to re-arrange the coals. Move the pan back. We usually carry 2 or three with. They're good for serving too. And if you're still cooking, the eaters might need one for the hot corn on the cob you just grilled. OK, there are three different types we've found useful. 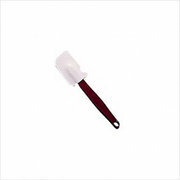 The rubber scraper/spatula is great for getting stuff out of cans and into the frypan, etc. 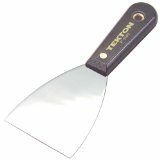 The stiff/or somewhat flexible putty scraper/spatula is great for cleaning debris off of pans. The steel/all metal spatula is ideal for the grill. A long handle is very useful. Again, just a little flex, mostly stiff. 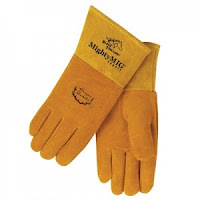 Again, there are three kinds, with three purposes: Cooking mitts/gloves, leather gloves, and welders' gloves. If you can only get one kind, get welders' gloves. 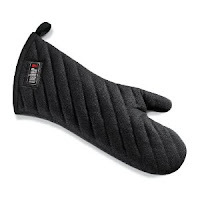 Gloves are necessary in handling the hot (400 degrees +) pans as well as handling burning logs. Cooking mitts tend to be under insulated and have plastic fibers in them. These can melt into your fingers and hands. Get a well insulated mitt with all natural fibers. If you can, find a good grilling mit, not a common oven mitt. 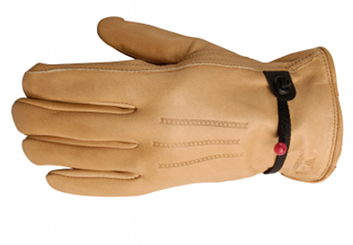 My favorite campfire cooking glove is the leather welding glove. Just the right amount of dexterity with good protection. Gloves will get grease on them. Cleaning leather gloves is not complex. Generally scrubbing/brushing with soaply water, drying and re-oiling with mink or neat's foot oil. Wood breaks too easily, but you can set a really hot pan on it. Plastic works really well, but melts if you set a hot pan on it. We bring one of each. There's a good article about this topic at wikipedia. We get several of the cheapest possible paring knives, but we do also carry one Chicago Cutlery in our kit. The cheap knives have very flexible blades. 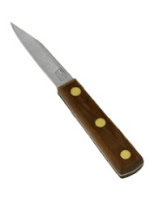 The Chicago Cutlery blade is nice and stiff with a bit of spring to it. 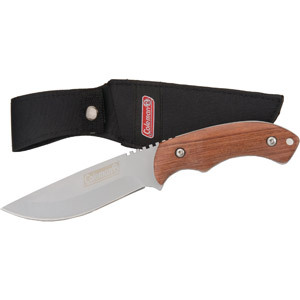 For general use we have a few Coleman fixed blade knives we've picked up over the years. They're good for gutting, skinning, and even cutting steak and veggies at the table. 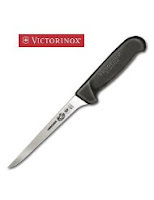 Fillet/Boning knives are useful especially if you are acquiring meat or fish in the wild. 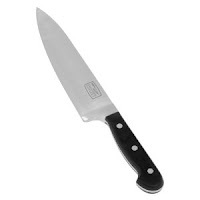 A Chef's Knife with a nice wide long blade can make cutting up veggies a simple task. It's also a lot easier to use this on a melon than a paring knife. Cleavers are great in so many ways: from controlled thin slices of veggies to beheading a bird. 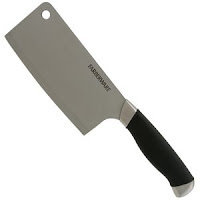 We have this Faberware soft handled cleaver. The end cap fell off just after the first use, but otherwise it's been great and very well used for the past year. Keep the knives sharp and their edges straight. 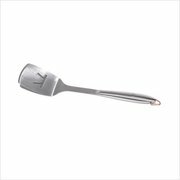 Of course, you may need some forks for helping to prepare meats and veggies, spoons for stirring and such. Possibly even skewers if you want to do shishkabobs. A couple ways to start a fire: Lighters, long lighters, waterproof matches, magnesium and steel, and a candle. Most places will have sticks to rub together, but that takes considerable practice to do quickly. Maybe bring some charcoal starter fluid, it helps a lot on rainy days. A Bottle Opener- If you plan to take corked bottled bevereages. Me + Camping almost always = rain. It did. 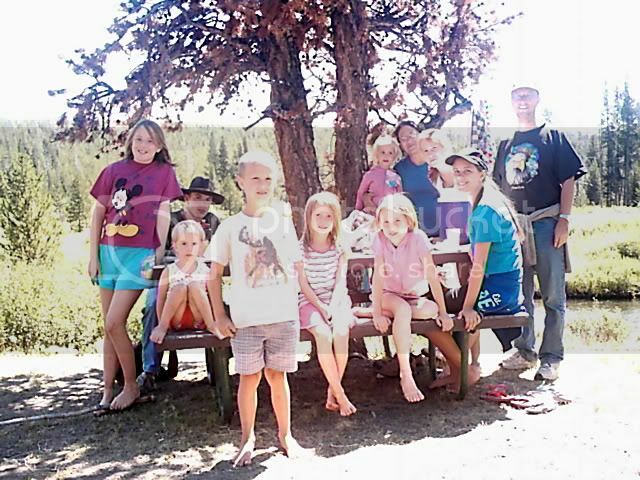 Our last day at the campground, when we were to be drying things out for packing. Grrr.... So, we paid for another night camp. You know, it actually hailed on us while I was frying the potatos over the campfire. Mr. Bear-a-noid came over to cook steak. He shared, we shared. A fun, if wet and cold meal and evening. Next morning we went to W. Yellowstone for laundry and showers, and took a look at another campground for possible future use. We got everything packed up but the sleeping bags and tents. Spent the extra night. And got going in the morning. Construction in the park caused us to go back up 191 to Bozeman. So, a couple of years ago when we were driving through Montana and ND on the way back from Rachel's wedding there were Pronghorns everywhere. And, I wondered about hunting them, and how they taste. Talking with a friend in Belgrade over the past couple years I have a place where I could possibly hunt. But it wouldn't be cheap meat like deer in MN. So, last June at her brother's wedding Jessica said she could spare me some cuts of Antelope and Elk if we could arrange somehow to transport it. We got to Belgrade on our way back from W. Yellowstone. Still not sure of what our next adventure would be the idea popped into my head to give Jessica a call and trade for some Antelope and Elk. I'm not sure she believed me at first when I told her we were at the McDonalds in Belgrade getting the kids a snack. But she invited us over. She gave us (thank you, thank you, thank you) some Elk and Antelope. During a wonderful visit she made a couple of phone calls. Kinda cryptic, like. Then she told us she had a suprise for us. 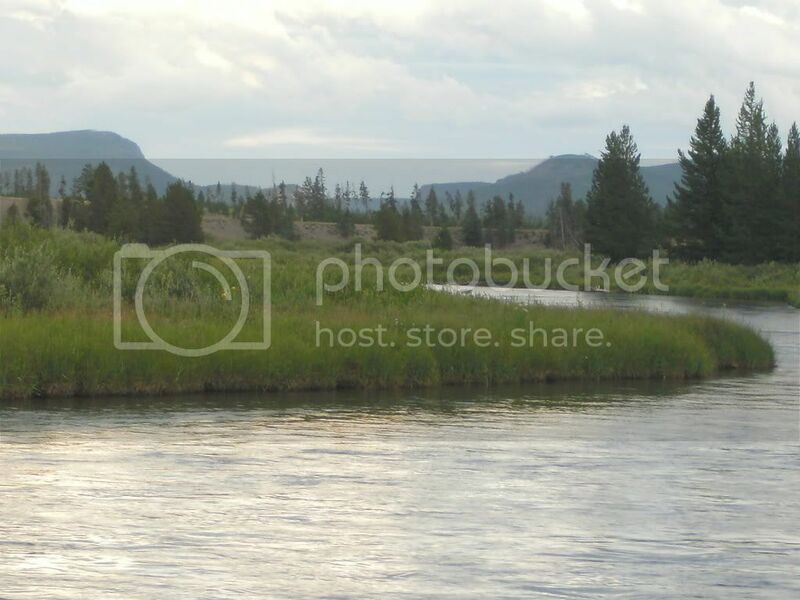 Would we like to stay in a cabin on the Yellowstone River tonight for free just to recover for a day? Um, let us think about that: "YES!" It wasn't a cabin. 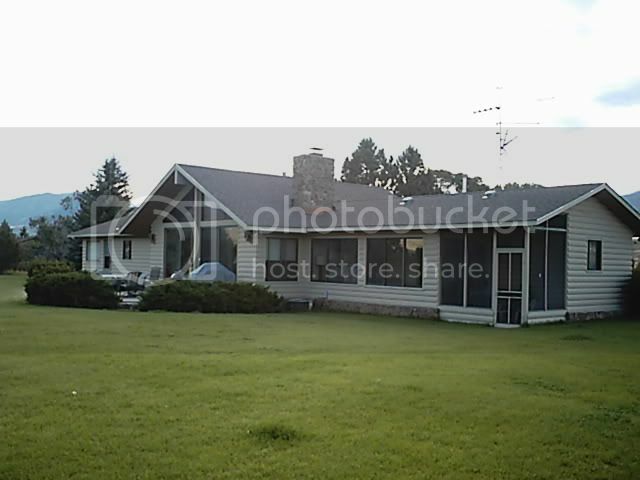 It is a huge log home on 90 acres with 6 trout ponds and 1/2 mile river frontage on the Yellowstone River. It's called Morning Star Ranch. And the owners gave us a night for free just because Jessica's grandma asked. Livingroom looking toward kitchen and guest room. We were overwhelmed. What a wonderful blessing. Our thanks to Jessica and Lenore for setting it up, to Bob and Kitzy for their generosity. 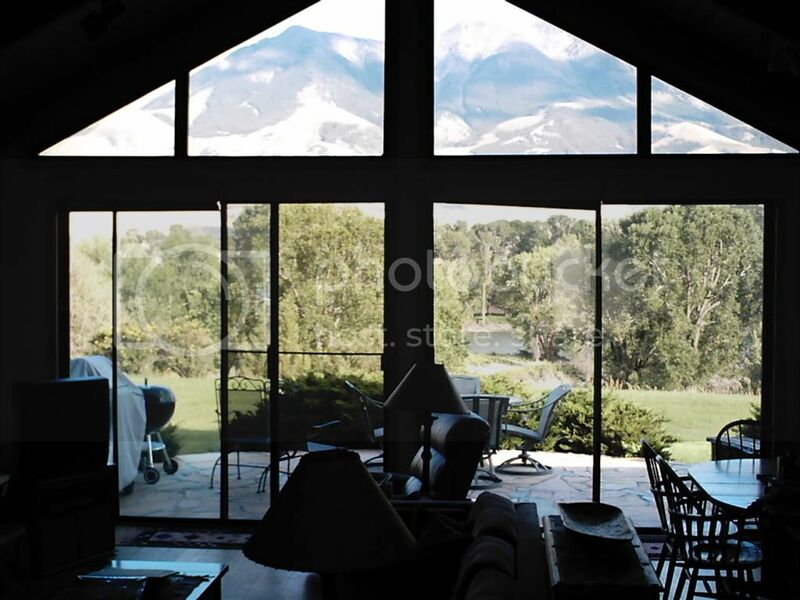 Livingroom window, Emigrant Peak, and the Yellowstone River. Guest Room with Murphey Bed. 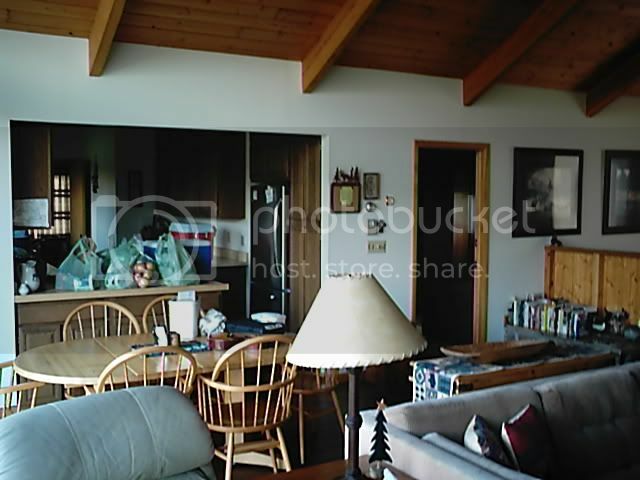 Master bedroom with screen porch in background. Lenore was on the phone with the owners. They asked who it was that was staying. When Lenore told them about us they asked Lenore to tell us we could stay the week for free. Yes, we were overwhelmed and grateful at the generosity of these people we have never met. Family photo at Roosevelt Arch, Gardiner. Matthew and I did some fly fishing. 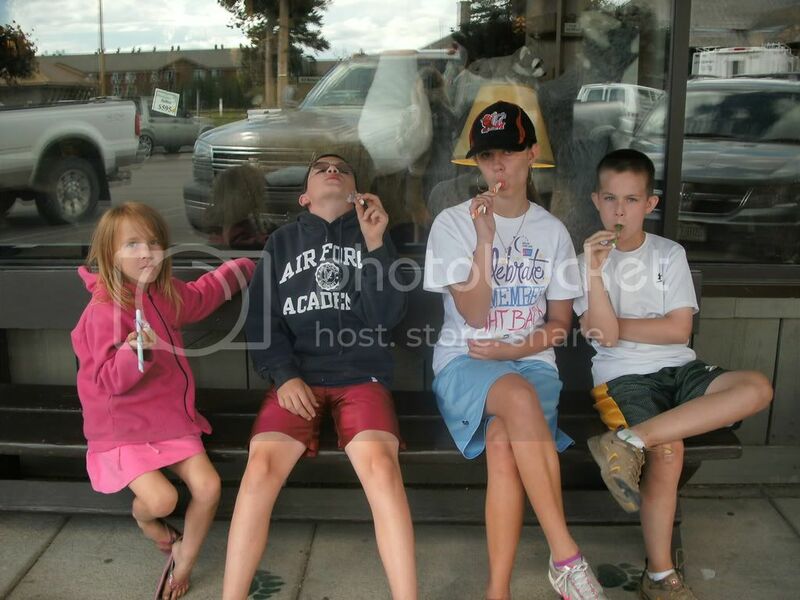 We all went on day trips. The first trip Mary took the kids to Livningston. We all went to Gardiner and Jardine. We picnicked in Gardiner and did some tourist window shopping. 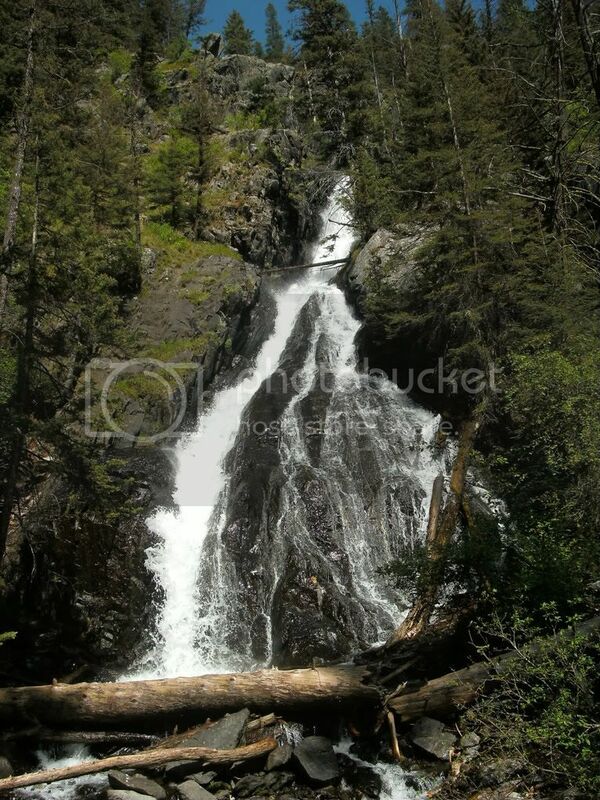 One of the days we hiked up to Pine Creek Falls. We did a lot of hiking. Mountains make it both more difficult and more interesting. Where we live, hiking means that you see the same house for 8 miles either direction. In the mountains you can come suddenly on to an unexpected stream or even a bear! Well, we have bear at home too, but, I think you know what I mean. Alas, Friday came too fast, we cleaned up the place, packed up, said thanks and goodby to Lenore and headed off to Billings, back to Val and Ron for a brief stop over. We arrived in Billings early evening. Ron grilled, we all ate. Great company. Next morning they took us out to breakfast and we said good bye. Our goal, a motel in Fargo so we could get to church in the morning. As we got near Fargo there were no motels open. Nor north all the way up through Grand Forks. We ended up staying in Crookston at a total dive motel. Ugh. America's Best Value Inn--stay away. Anyway, after church on Sunday we went back home to recover. Special thanks to Jared, Jim, and Randy for reading the sermon and leading the Office of Prime while we were gone. 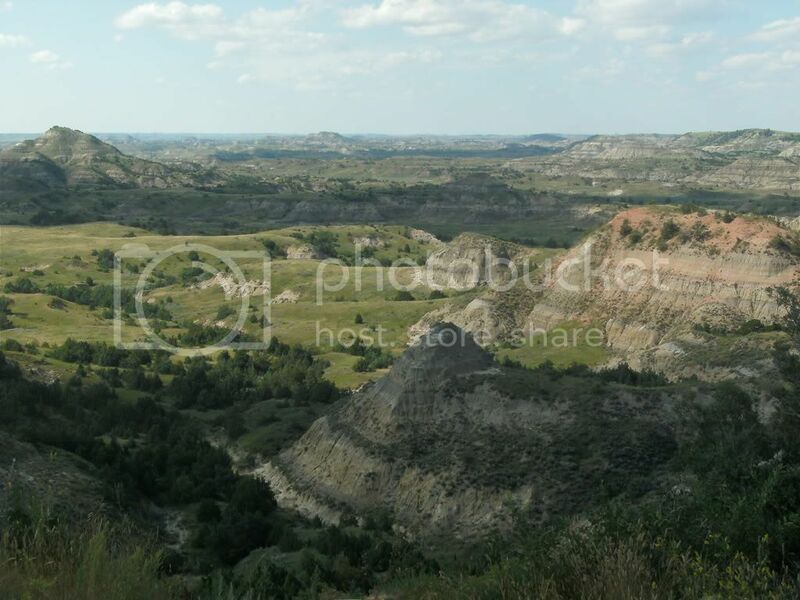 North Dakota, right next to Montana. You have to drive through this to get there from here. First day we got going late, but Ron and Val had stew and beds ready for us when we rolled into their place in Billings. Thanks so much. 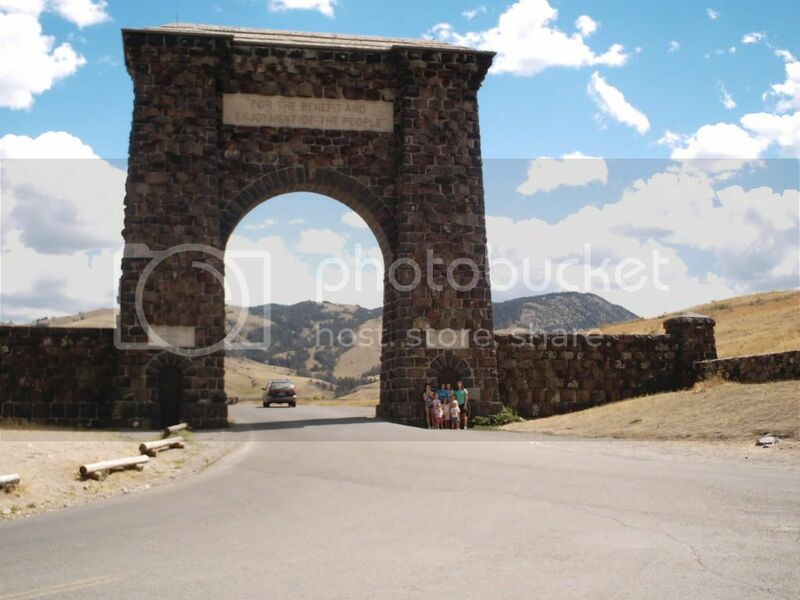 After a nice visit with the Frees we sped of to West Yellowstone via Bozeman. Last time we went this way (2009) the park got closed before we arrived. Pres. Obama passed us with his motorcade on the road between Bozeman and W. Yellowstone. Ruth, Louisa, and Iraina wading. The park wasn't closed this time. We camped at Baker's Hole. Bob and Aimee camped at the KOA. Joel and Kathy camped with us at Baker's Hole the second night. 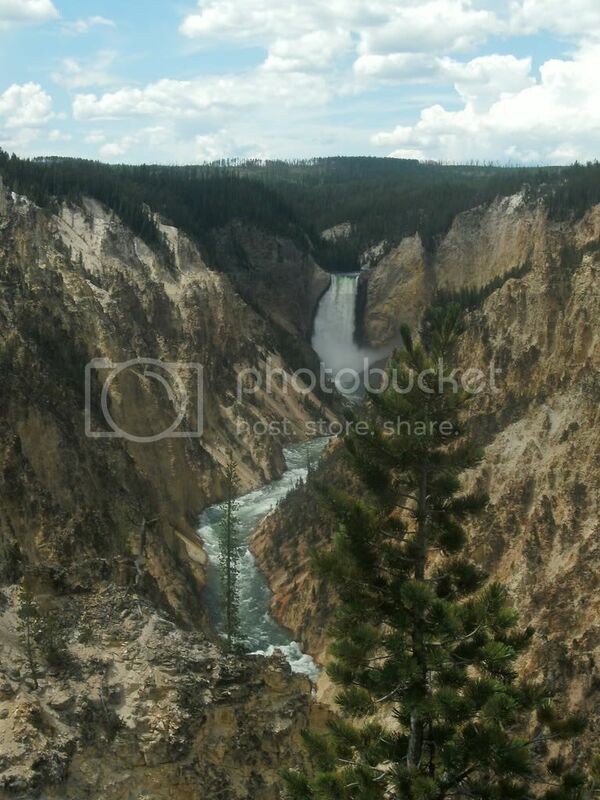 Louisa took this great photo of the Lower Falls Yellowstone River. Mary planned this trip as a kind of family get-together. We were really glad that we could spend a couple days with Kathy and Joel and kids, and 5 days with Bob and Aimee and kids. 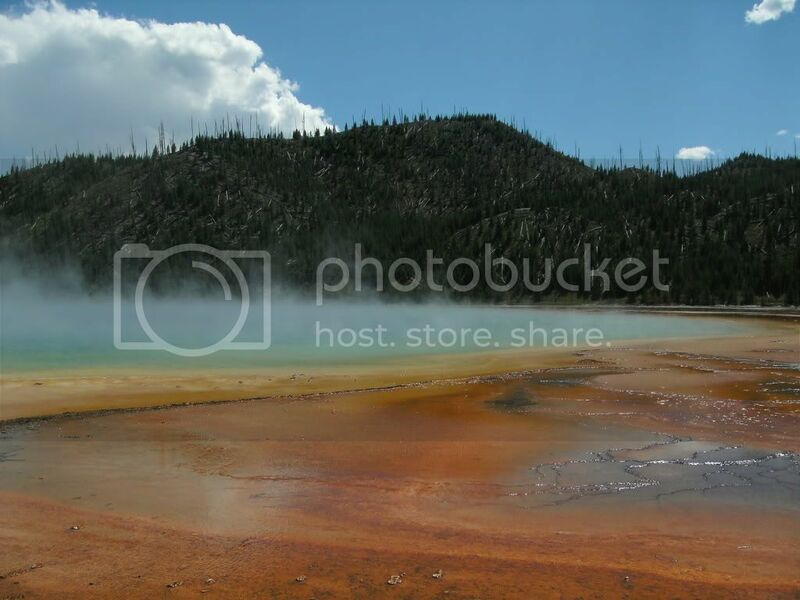 Grand Prismatic Spring, Midway Geyser Basin, photo by Louisa. The days were hikes and exploring. The evenings were conversation, smoars and campfires. But when we pulled into camp on August 2nd the campground bulletin board said a Grizzly bear had been sighted in camp that morning. But you'll see a pattern with signs and the kids. Our next door camping neighbor made sure we, and everyone else in camp knew about it. "Hey, there was a GRIZ through here this morning. You know, you gotta take care of your camp site." Me: "yep, I live in black bear country and have been camping in Grizzly country since 1974. We'll take care. Thanks." Callum needed to get closer to read the sign! He: "You've got three tents, aren't you going to have an adult in each tent? THE GRIZ might get your kids!" Me: "No, I'm not worried. We're careful. We will put our food away properly. Clean up properly." He: "Hey man, it's THE GRIZ! Don't you have any PROTECTION?" He looked at me in shock, then smiled. 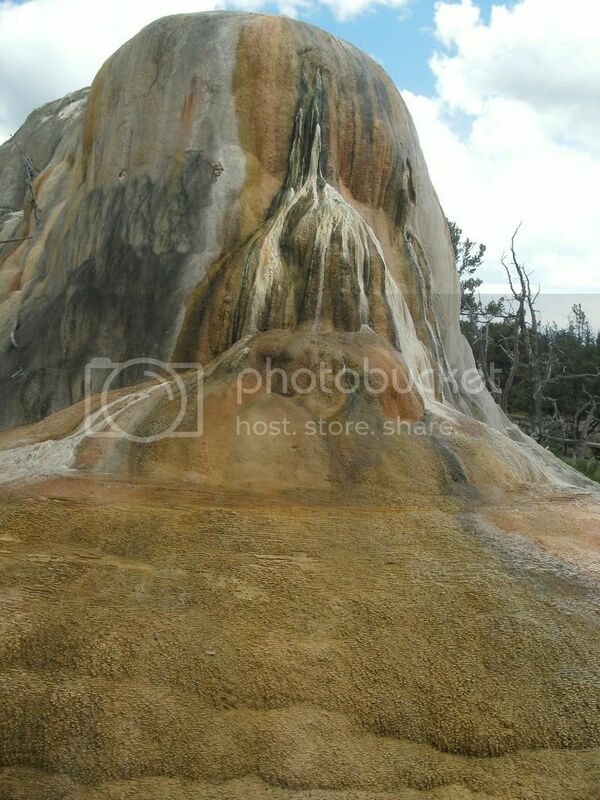 Elsie's photo at Canary Spring at Mammoth Springs. He never cooked or ate in his campsite. He borrowed our campfire and brought food over to us once. Ate it at our campsite. He: "Yeah, well THE GRIZ will probably come from the river on the other side of the campground and get those people first. Besides, I got my bear spray and my 9mm." Me, thinking: "Hmmm, Bear spray is a much weaker formulation of self-defense pepper spray with a 30 foot range. Assuming there is no wind, and the bear doesn't like habaneros, and assuming that a grizzly capable of running 58 feet per second (40mph) will give you the time to take the spray from a safety holster, unlock the spray can top, take aim, spray, and move out of the area...... .. .. .. . ."
I've read The Journal of Wildlife Management article on the topic. I'm not really convinced. They did not include any comparative data about firearm usage. A nice cautionary response is found here. after and arduous walk through a tourist shop. It's like she has bolts coming out of her ears. 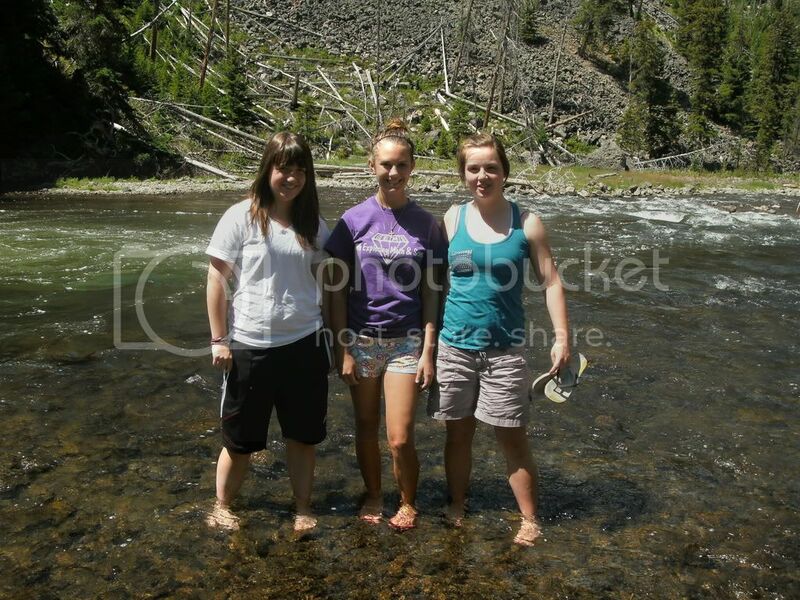 So we did a lot of hiking through Yellowstone National Park: All of us, Lots of walking. Some of us carrying bear spray and large calibre handguns. Just in case THE GRIZ showed up to ruin our day. 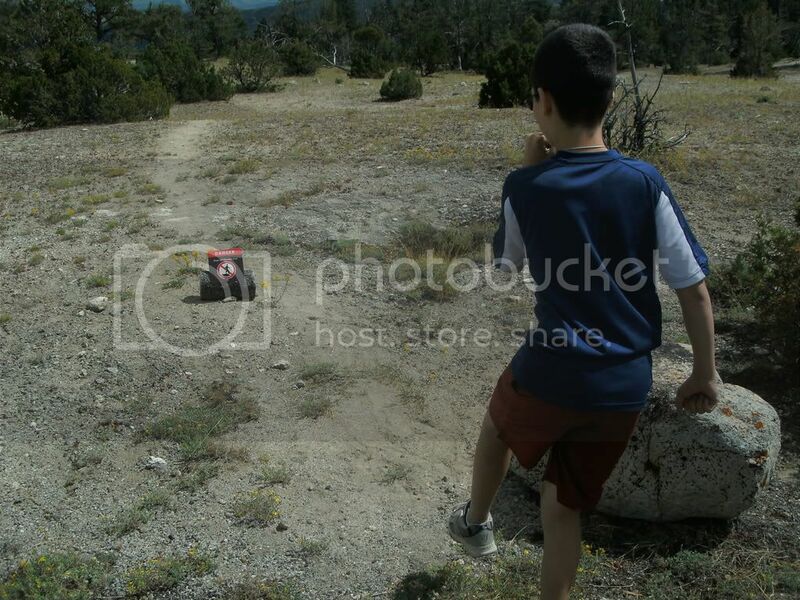 Callum checking out the veracity of a sign on the Bighorn Trail. Callum seemed the most eager to explore the more risky horizons, though I think he and Louisa made a pretty good team at these prank photos. 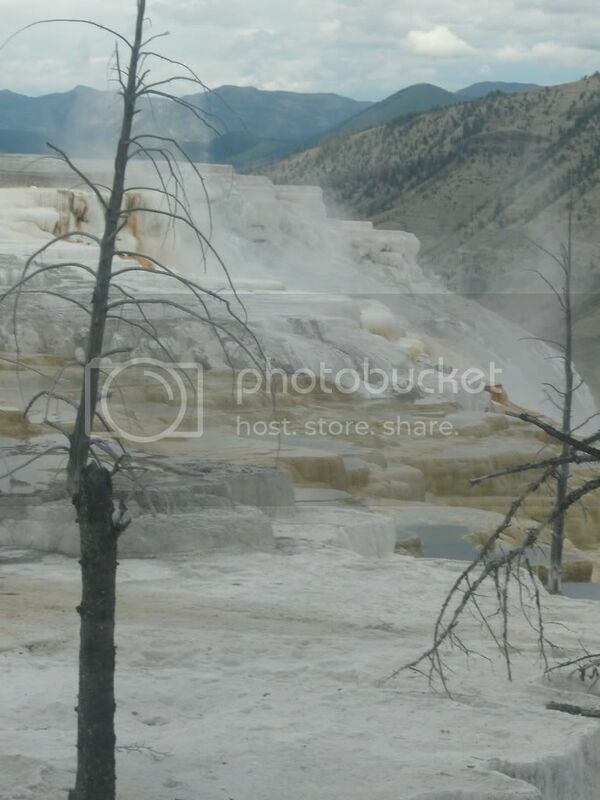 Louisa's photo of Orenge Spring Mound at Mammoth Springs. We hiked several trails. One time, Bob and Mary took the littlest ones via truck while Aimee and I took the other kids on a hike around the road in the upper part of Mammoth Springs. But, alas, no photos of the Norris Geyser Basin. Perhaps Aimee can fill in here? 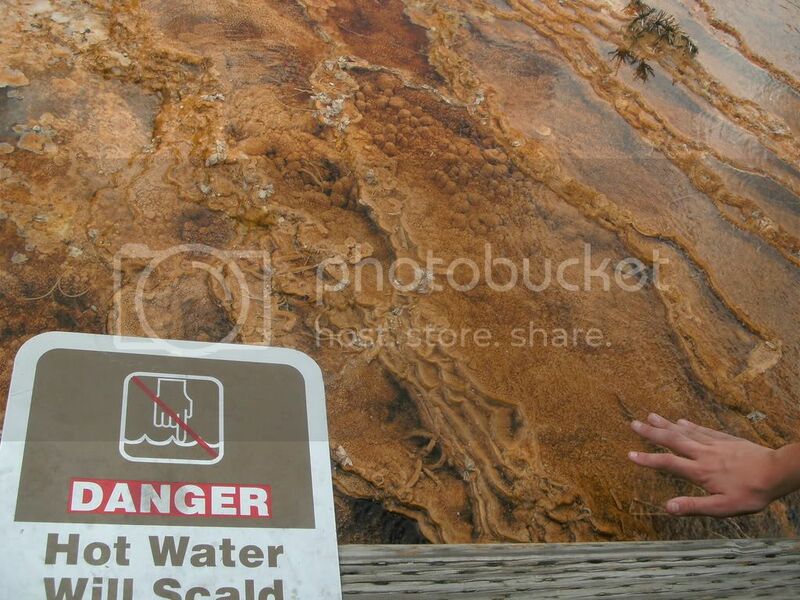 When Joel, Kathy, and daughters were there we did the Midway Geyser Basin board walk. There were a few hats here and there near the geysers. It might have been windswept hats, but the ground was unstable and could swallow a person and scald him to death. So, we preferred to use the hats as cautionary examples. A couple from Hawaii took our family photo after our picnic. 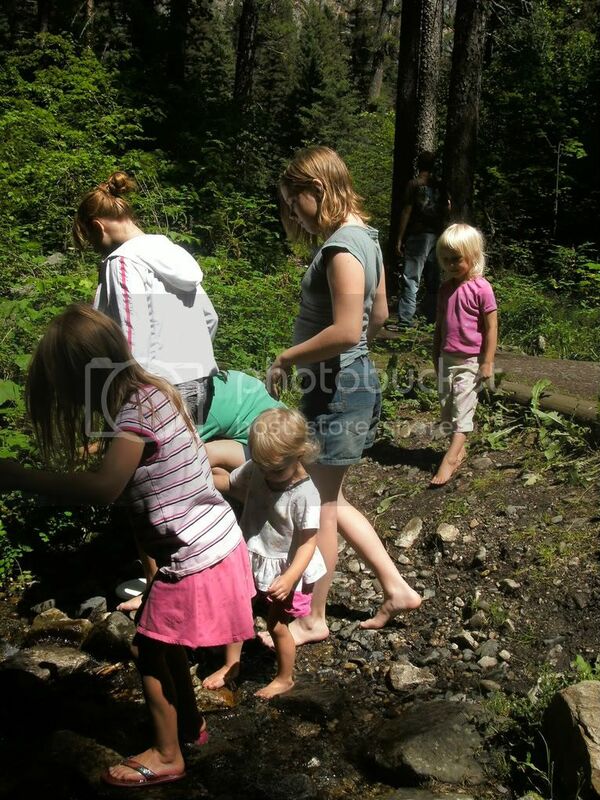 There were no shortages of wild strawberries and wild huckleberries on our hikes. And through a long hike on the Bighorn Trail we enjoyed the strawberries.